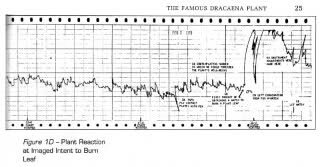 Controversial DNA Discoveries: You are about to read one of the most innovative, fascinating, world-transforming summaries of DNA research ever put on the web… Unfortunately it’s not well-documented or linked to other sites backing up the research so you may want to do your own investigation to confirm (or deny) this material. 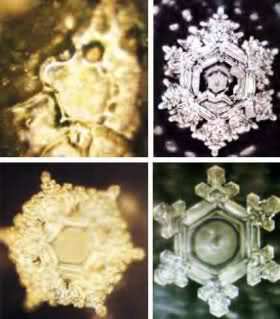 Images illustrating Doctor Masaru Emoto’s research, Fujiwara Dam, before prayer. The Russian scientists also found out that our DNA can create invisible, structured patterns in the vacuum energy of space, thus producing magnetized wormholes! [Here they are referring to Garaiev and Poponin’s groundbreaking study into the so-called “DNA Phantom Effect.” Hang on, as this is explained further down in the article.] Wormholes are the microscopic equivalents of the so-called Einstein-Rosen bridges in the vicinity of black holes (left by burned-out stars). These are tunnel connections between entirely different areas in the universe, through which information can be transmitted outside of space and time. In certain Earth healing projects, such light effects also appear on photographs. Simply put, this phenomena has to do with gravity and anti-gravity forces. They appear as ever-more stable forms of wormholes, and through displays of hyper-communication with energies from outside our own time and space. [Bear in mind that not all ‘orb’ photographs are metaphysical in nature. Rense.com has demonstrated that sand particles thrown in the air in front of a camera, at the right focal distance, can create perfect ‘orbs’ in the photograph. However, some photos admittedly have stunning features that cannot be explained this way.] Earlier generations that experienced such hyper-communication and visible vacuum domains were convinced that an angel had appeared before them. We can never be too sure about what forms of consciousness we will access when using hyper-communication. Although they have not had scientific proof for the actual existence of these higher forms of consciousness, people having had such experiences do NOT all suffer from hallucinations.